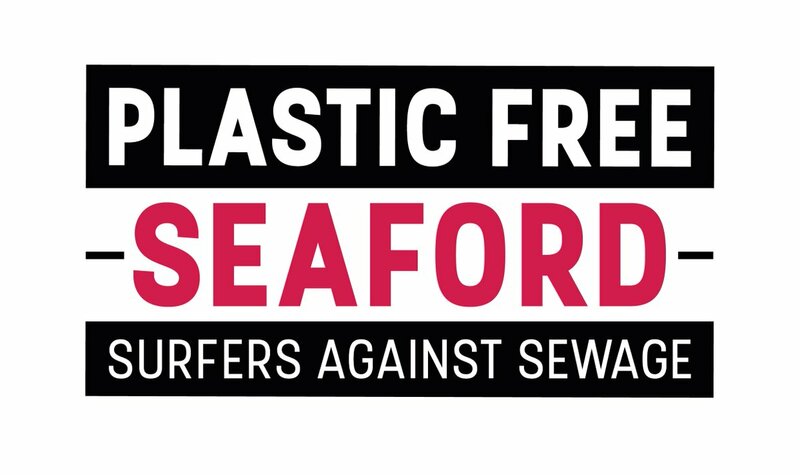 At a full Council Meeting on March 29th members voted to support the Plastic Free Coastlines initiative and commit Seaford to a campaign to gain Plastic Free Status. A Steering Group headed by local community volunteer Claire Sumners has been formed. Claire is an experienced campaigner for Surfers Against Sewage and has organised monthly beach-cleans for the past year. The group is promoting the initiative and engaging local businesses, voluntary groups and residents in moving towards the reduction in reliance on single-use plastic items and packaging. We have joined hundreds of towns across the country including our neighbours in Eastbourne, Hastings, Chichester, Brighton and Uckfield. Most of our Schools are now involved in plastic-free projects. It is hoped to gain our ‘Status’ by 2020. No-one can be unaware of the national and international campaigns to limit the use of single-use plastic and the appalling pollution and damage to wildlife and the environment caused by human reliance on this material. Please get involved. What do we need to do in Seaford to gain the designation “Plastic Free”? The Council itself must take action to ensure its tenants, lease-holders, grant-holders, concession-holders and supported community groups are taking steps to reduce as far as possible their use of single-use plastic. It is to be hoped that everyone can see the value in this initiative and appreciate the positive outcomes for the town, for local businesses and residents in gaining the Plastic Free Status. There will be a Public Meeting at 7.30 pm on June 27th to give further information and answer questions on appropriate actions. Venue: Seaford Town Council Chamber, Church Street. You are invited to attend. Doors open from 7.15 [Tourist Information Door]. Claire and other members of the steering group will be happy to visit businesses and groups to help them review their use of plastic items and to advise on alternatives.